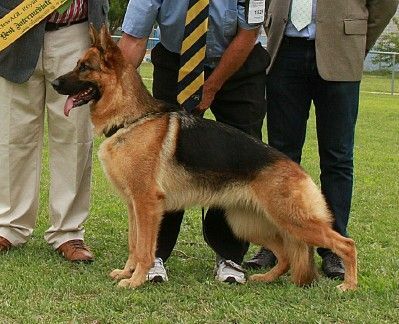 *Ch Glenbala Ambitious Witch 'A''Z' BSCL 1 wins 2014 NSW SHOWDOG of The YEAR RUNNER UP out of 107 Best In Show winning dogs entered. 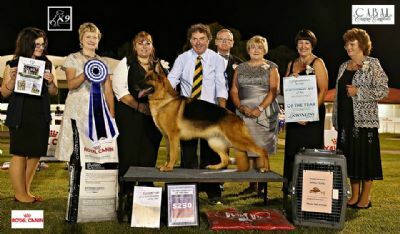 What a start to 2015, after winning Runner Up Showdog of the Year, Luna wins Best Exhibit In Group at Sydney Kennel Club 8.1.15, Best Exhibit In Group at Dogs NSW Fundraiser Show 14.2.15 & then to top it off, BEST EXHIBIT IN SHOW then next day at Dogs NSW Fundraiser Show on 15.2.15!!!!!!!!!!!!!!! After winning Best of Breed at Canberra Royal for the 4th Year in a row, Luna wins BEST EXHIBIT IN SHOW at Boorowa Ag Show & the following day BEST EXHIBIT IN SHOW at Robertson Ag Show. 5 BEST IN GROUPS Converted to 3 BEST EXHIBIT IN SHOWS. We would sincerely like to thank all the judges that have awarded Luna these top awards. 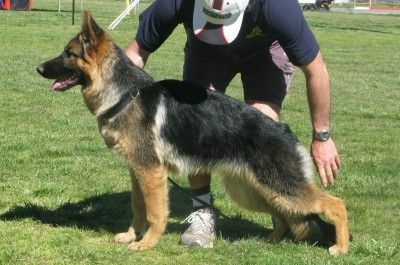 We are extremely proud owners/breeders & handlers of Luna. 1-Mar-15 Best of Breed - 4th Year in a row !